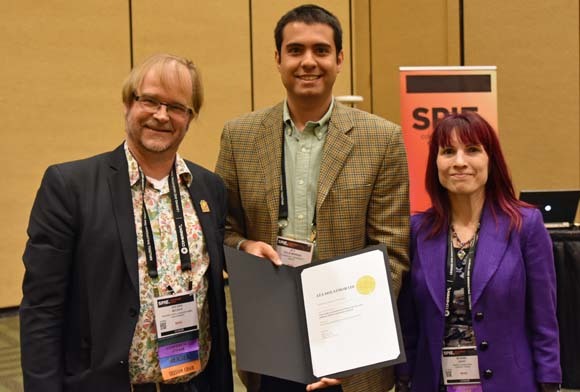 Please join us in Congratulating Ata Dolatmoradi from the Mechanical and Materials Engineering Department, for his accomplishment during the SPIE Photonics West 2017 Conference. The award was presented by conference chairs Holger Becker (left) and Bonnie Gray (right). The co-author is Bilal El-Zahab (Florida International Univ. ).